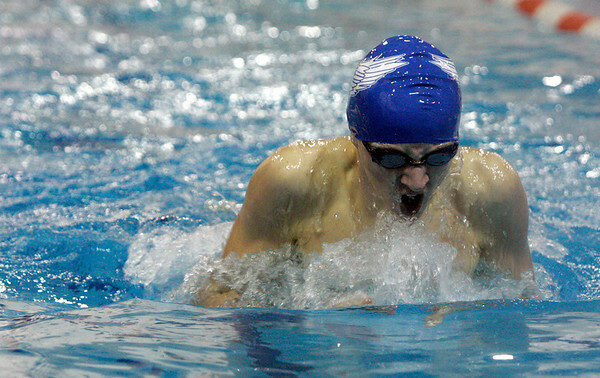 Salem: St. John's Bredan Sweeney completes the last leg of the 100 meter breast stroke during yesterday's Catholic Conference Meet against B.C. High held at Salem State College. Photo by Deborah Parker/Salem News Saturday January 31, 2009.